wanna make a game, or anything else? seminal bloom! You may remember me as one of the people who worked on translating VIP 4 recently, and long story short since then I've been working with Super Maks 64 and Ryrir on fixing and translating some more older hacks, which we'd like to present here. Spoiler tags applied so that this post isn't absolutely huge to scroll through. 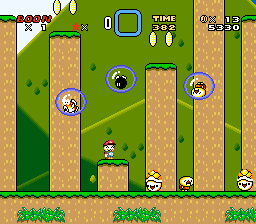 Japanese SMW romhacks have been part of the scene since the very beginning of SMW hacking itself, back in the early 2000s. there are a couple of factors that we feel are causing them to be somewhat disregarded in recent times. First of all is of course the language barrier itself. There have been occasional translations made for hacks, usually in the form of text documents, though occasionally integrated into the hack itself. Keeping a text file on hand while playing is a bit cumbersome, and I can imagine that they fall off many people's radar for that reason. Of course the gameplay can sometimes be sussed out even without being able to read what's onscreen, but there's plenty of occasions where hints that are presented plain-as-day might be missed. Another factor that's probably very relevant now, and which is by no means limited to Japanese hacks, is that the majority of hacks made in the period of about 2008 to 2013 made use of tools for inserting custom content that were developed based on the inaccurate emulation of older emulators. There's a range of things that cause these hacks to break when played on anything more modern, the most common one being AddMusic tools made back in the day causing the sound to cut-out and the hack to lock up as a result of uploading music into a region reserved for echo data. These tools were fair for the time when ZSNES and SNESGT were the standard for playing SNES ROMs, but the fact that most people who have moved on to emulators with better functions and fidelity are unwilling to use these emulators now adds another barrier to playing these older hacks. Not to put ZSNES down, but I can't say I blame them. 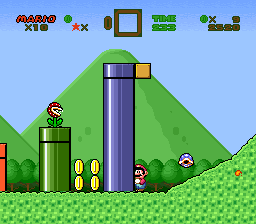 Still, this is very regrettable, as we believe that there are some brilliant examples of SMW hacking history that are getting overlooked these days due to these two factors. We would like to bring more attention to some of the titles from the past, from both the English-speaking community as well as the Japanese-speaking one. Firstly, we're fixing each hack so that they'll work on most modern emulators and even the original SNES console. To this end we have prioritized the preservation of the way the original hack works internally. One way that hacks with broken music have been getting fixed recently is by gathering the original assets from various places on the net, and reuploading them into the hack with modern tools. 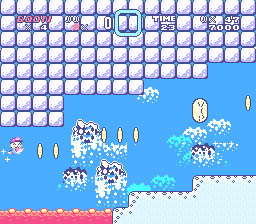 However, finding the assets is not always easy or even possible, and it introduces some chance for inaccuracy, so Super Maks 64 came up with another method a couple of months ago, based on editing the data that was already in the ROM to work in such a way as to not crash the system. This method was first applied to VIP 4 for the sake of raocow's recent LP of it. 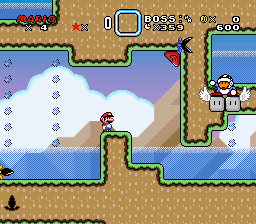 Both during and after the work on VIP 4's fix and translation, we've also been doing a bunch of research into other aspects that cause emulation-based problems, and developed some methods for patching these up at a very low ASM level to make these hacks work properly even on a modern emulator. On top of that, I've been writing up some software to automate the grunt work of Maks' method. 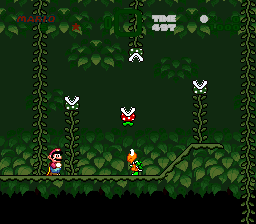 The result is that we can now start offering fixed hacks that should on modern emulators function 'almost' identically to their unfixed counterparts running on ZSNES (minus ZSNES' sub-par audio quality), and in some areas the music might incidentally even be a bit less glitchy than it used to be. I say 'almost' because of some minor caveats that will be fully explained in the readme of any hack where they're relevant. Secondly, we have translated any Japanese hack shown here into English, (mostly) seamlessly integrated into the hack itself. The more memey games like the VIPs also contain optional notes explaining some of the cultural references within. You won't have to wonder anymore whether the solution to some of those completely obtuse puzzles are outright told to you by the game itself! The way this'll go down is that each ZIP file will contain BPS patches for fixed versions of both the original hack, and a translated English version if that original hack was in Japanese. On top of that, most of the downloads below will also contain a couple of ASM patches you might be interested in applying to your rom. Some of these are extras such as lag-reducing FastROM or the aforementioned translation notes, others have to do with some more ambiguous compatibility fixes which we would prefer to leave to the player's discretion. In the interest of preserving the authenticity we've made all of these optional, but don't worry: we've set it up so applying the patches is a very simple and short process that requires no knowledge of ASM coding, and it shouldn't get messed up if you just follow a couple of basic instructions. You will find more information about these patches as well as a step-by-step explanation on how to apply them to your game in the specific readme file of the hack. And of course, even if you don't bother with the ASM patches the ROMs will still work fine. Note however that despite the inclusion of these patches we are NOT primarily concerned with making any hack's game design 'better' or otherwise fixing bugs that would've been present when playing the original hack on ZSNES. We simply thought a lot of people might enjoy or appreciate some of the extras that they provide, because I certainly did at least. The contents of the ASM patches are basically up to our whims, so we're not really open to suggestions. If you want to write your own and share them, we're not stopping you of course! 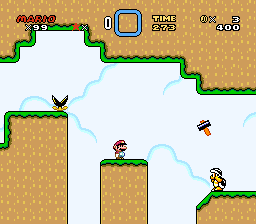 All BPS patches will need to be applied to a headered ROM of the USA version of Super Mario World. I'm sure you know the deal: we can't and won't provide you with the SMW ROM itself, nor with any places to download it and all that jazz. We would like to thank all original authors of the various ASM patches we applied and included in our works. Specific credits are included in the ZIPs. Finally, we'd like to make clear that we didn't make any of these hacks. Thanks go to the original authors; this is meant as a tribute, and we hope their works can live on this way. Now without further ado, onto the hacks! We're planning to get all 5 of the (currently) fully-available VIPs on here eventually, fully translated and fixed. VIP 1, 2 and 3 were previously translated by Horikawa Otane quite a number of years ago now, but she has since distanced herself from her work on them, and the English versions we'll be putting up here will have been completely redone by our team. We would like to thank Horikawa for her efforts back then, but to say the least both she herself and I are of the opinion that her older translations have not aged well, and that these entries in the series are deserving of a complete localization revamp. Although Ryrir and I started and largely finished work on redoing the VIP 2 translation on our own before we got into contact with her, she's been aware of our project for a while now and been very supportive of it. We'd like to thank her for that as well, and we hope that the stuff we'll be putting up will be a suitable replacement. ...look, don't worry about it. Original hacks for this series can be found here. Let's be honest: When going back to hacks created in the early 2000s, very rarely will you find one that still holds up to this day. 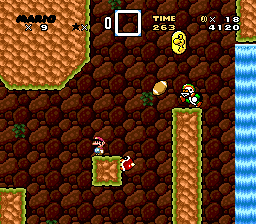 Most of them seem very, very dated by today's standards, as they appear to be based on the assumption that the player is going to use savestates, featuring antiquated level design tropes such as item babysitting or enemy spam. While I'm certainly not saying that VIP 1 is free of these issues, I will go out and say that they're less appalling here, as flawed levels and ideas are placed right next to ones that are interesting and exciting to play, even today. 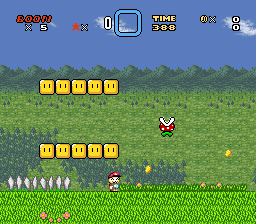 Even independent of the fact that this hack is an important piece of SMW hacking history, I say that if you are going to play a hack from this era, you might want to make it this one. 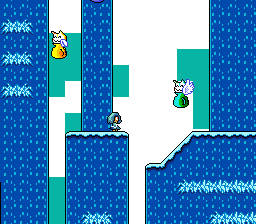 Boon actually makes an appearance in the hack as a seperate character from the protagonist (Boon's Trick House). Anyway, this hack has nothing wrong with it technically as far as we know. This is basically just a version that was retranslated and is known to be compatible with the ASM patches we provide. 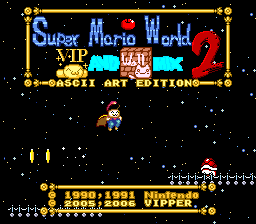 The second installment of the VIP series, and the first to include custom sprites! 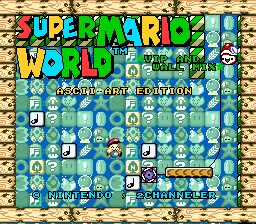 This hack mostly expands upon the foundation laid by the first one: Innovative level design ideas, never-seen before exploitations of the SMW engine as well as diving deeper into various 2chan memes and injokes truly make this hack a milestone for all further works of the series. This hack was still largely vanilla, so there weren't many things to fix in terms of emulator compatibility. I don't think the original hack has any major problems running on newer emulators, but I did find a couple of things in the custom sprite code that didn't take real hardware behavior into account, so I went ahead and fixed those. For all we know that code's never actually run in-game, or perhaps the error wouldn't have any noticable effect, but better safe than sorry! The third installment of the VIP saga, widely regarded as somewhat of a turning point for the series. 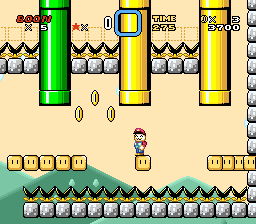 The hack has noticeably more custom elements than its predecessors, including one of the first ever instances of custom music in any SMW romhack! On the level design front, things have been moving as well: A lot of levels on the main path through the game are shorter and easier compared to VIP 1 and 2, even though you'll encounter difficult and somewhat unreasonable levels on some of the sidepaths and especially the endgame as well. Make sure to check out the patch folder for this one, as some game-crashing bugs were ironed out! The system used to insert custom music into this hack was very simple, which ironically made it one of the more involved ones to fix. As a result this hack required a bit more ASM trickery than usual to make it work, but I think the result should work pretty well. Although we've tested it thoroughly to make sure it works, please let us know if anything goes wrong anyway. 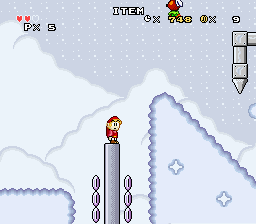 Like Ryrir said, there's a couple of optional crash fixes (they were present on ZSNES as well), as well as a patch to make a certain infamously broken level work the way the author (likely) intended when designing it, so you can beat it without cheesing it. If you're interested, the details are in the zip file. Note: The fixes for this aren't technically finished yet, but there's an incomplete version (0.99) up in raocow's LP thread for it here. It'll work, though it still has some bugs/inaccuracies due to the shortcuts taken to get it out on time, so please hold on a bit longer while those are sorted out. It's everything the former hacks in the series did, but cranked up to eleven! More ASM gimmicks, more custom music, more awesomness! Catching your breath is hard while playing this one, as the game gets more and more demanding as it goes on. Considered by many to be one of the best of the series, VIP 4 combines puzzly aspects with traditional platforming challenges, as well as innovative ideas and trusty 2chan humor to create a truly memorable experience. Thanks go to lion for doing a translation of this before I came along and (hopefully) improved upon it with Ryrir's help. A little known hack created by the solo author Mizuno in 2012. While the game is easy-going early on, it cranks up the difficutly bit by bit as it goes on, without ever posing an overly difficult challenge. Standout features include an interesting overworld map that lets you choose your own path, as well as a vast assortment of custom bosses. This hack might be a nice challenge for people who find the more well-known hacks a bit too difficult for their taste. I started work on translating this way back when I first joined the talkhaus, because it was on raocow's coming-up LP list. Didn't really imagine at the time that I'd get this involved in fixing it up as well though. Also, thanks go to vgperson for doing a translation of the WIP version that raocow played back in 2012. Not that I based my work on it (since I initially didn't even remember that it existed), but getting translations out like that in time for the LPs back then is always admirable, so I thought it was worth an acknowledgement. Also thanks to Xeno DX for doing some additional testing. 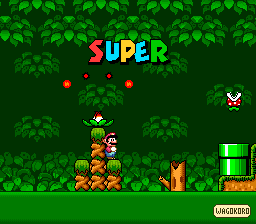 SUPER is a very hard hack, focusing on tight platforming and somewhat trolly traps to keep you on your toes. In my opinion it's pretty difficult to convey humor through level design alone, but I found this to be one of the instances where the trickery is funny instead of overbearing (your mileage may vary of course). The hack includes quite a number of custom assets and mechanics as well, which are always engaging and keep things interesting as you go along. 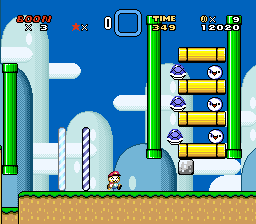 Be aware that some stages, especially towards the end of the game, are very long and are definitely going to test your endurance and patience as well as your platforming skills. 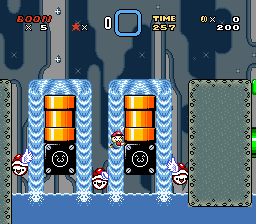 Beating this type of marathon levels can be quite rewarding, but that sort of thing is definitely not for everyone. Overall I would highly recommend this hack to skilled players who are up for the challenge! Here's a hack that's overall well-designed, but it has a lot of sections that prey on the player's expectations about what's coming up. 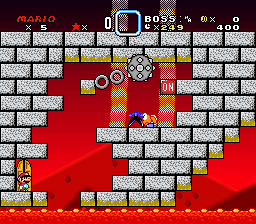 You could apply the category 'Kaizo' to it, though with the qualifier that for the majority of its runtime it's the kind of Kaizo that enjoys making you die a couple of times to silly traps fairly early in the level for the sake of a laugh, with the rest of the stage just being plain skill-based difficult rather than requiring insane precision. As long as you're at least somewhat genre savvy, you're probably not going to have any BS unpredictable deaths at the end of a grueling section. Well, most of the time anyway. 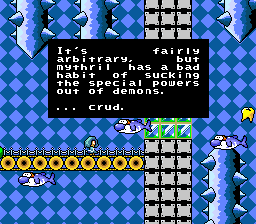 There are one or two stages that just go full-on Kaizo, so consider this your warning. If you can look past that and you enjoy high difficulty, then this might be something to check out. 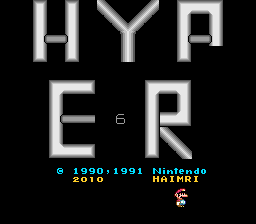 As for fixes, this hack had some minor compatibility bugs that only appeared on BSNES/a real console. Now humanly playable on non overclocked emulators or consoles! Playing this hack is a very interesting experience. 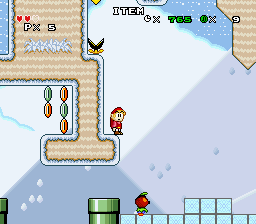 Almost every level has a ton of custom graphics, custom sprites and custom palettes, all while the level design itself takes some twists and turns you really wouldn't expect as well. 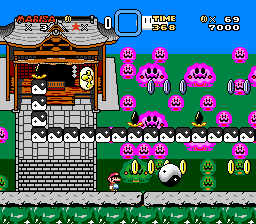 Couple all of that with an increasingly overwhelming amount of touhou references and you get a game that feels more like a fever dream than an SMW hack at times. That's not to say that playing it is a bad experience though, especially if you take the time to patch out the huge amount of slowdown the original hack was burdened by. I don't think I've ever seen a hack quite like this one before, which makes it an interesting one to check out no matter what your preferences may be. This hack is a nice timepiece. 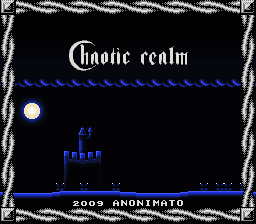 It features a lot of custom assets such as ExGFX and music, most of which were made by the author himself. Unfortunately, while the hack as a whole is very creative, and I'd say the assets do look quite nice most of the time, their can be pretty lacking in spots too, and the same goes for the gameplay, which is really rough around the edges. As it stands, I'd play this mostly for remembering the excitement at the time of discovering what could be done with custom asset creation tools, not to find 'good' examples of their use. The hack also suffers heavily from the tools that were available at the time, especially BlockTool, which causes insane amounts of lag with its inefficient implementation. Optional fixes are included for the lag and long loading times, and I very highly recommend using them if you don't want to feel like you're trudging through custard. And as a final note, you can use Start + Select in any stage to clear it instantly (+ A for secret exits), by design. Do with that info what you will. If you were looking for a hack that would be a great torture device then you've found it. This translation replaces an old and inaccurate one made by cup years ago and also replaces my atrocious fix made with AMK 1.1.0 just before 2018. Anyways this hack is special, the author clearly has no regard to the player, but is also rather creative with how it tortures you, although at a certain point it just goes insane with the level length/checkpoint starvation. People have told me that this hack is somewhat difficult. This is a little hack that I fixed up for Pholtos, who was going to LP it. It was suffering from crashes in some levels due to the use of Romi's AddMusic. Overall, the hack works fine otherwise, so no optional ASM patches for this one. Just apply the BPS and it's ready to go. If I had to give my opinion on it, it's a somewhat difficult but quite enjoyable hack if you like that sort of thing. As long as you don't try to beat a certain optional section legit that is. The biggest sticking point of this hack for most people is going to be its lack of checkpoints combined with somewhat long levels. Another hack I fixed up for Pholtos. 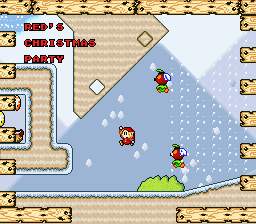 It's a one level hack with a Zelda and Christmas theme. This one was broken, but overall not suffering any technical problems besides that. Last edited by This Eye o' Mine on 19 Apr 2019, 14:23, edited 14 times in total. I guess I'll use this post for something now. Anyway, here I'm going to gather hack fixes that were done mostly by me. Created by an LPer as an experiment on "How much difficulty is too much" it certainly proves how much is too much as everything past the 2nd level (if you even manage to get that far) is really hard and lacking with checkpoints and it gets worse from there. The hack does have positives though, there are sections that are creative (most of them due to layer 2 usage) and there is a specific atmosphere due to the aesthetic direction and wacky messages. Oh, and besides music, this also fixes the goal tape spawning issue in shockhaus 5000. Yeah, there isn't much here, but I do already have some more hack fixes planned. Last edited by Super Maks 64 on 13 Mar 2019, 16:02, edited 2 times in total. 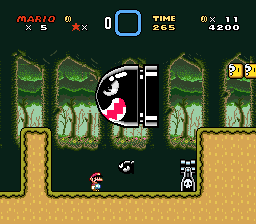 Check out Team Hack Fix/Translations' thread full of fixed and translated SMW hacks! Tag <div> was not opened. raocow wrote: the plan is to wait for Jump to be released and then replacing the graphics without telling anyone involved with Jump. Created an account to say that this is great, can't wait to see VIP3 and VIP5 as well as other JPN hacks near the future. This is absolutely amazing! I've loved playing the VIP and Wall Mix series and it'll be so great to see them finally be translated and fixed for accurate emulators as well as the other hacks you've listed! Keep up the awesome work, I'm looking forward to see what other hacks you decide to fix in the future! Hey, thank you to those that posted, and sorry it took me this long to acknowledge you. Check it out, the VIP 1 retranslation is now up. We'll be moving on to a hack that actually has compatibility issues next; we really just wanted to get the first two entries of the VIP series out of the way first. Also, SUPER is going to take a bit longer, due to an annoying ASM issue that still needs to be sorted out. First two English hacks are now up. Check out Chaotic Realm and Red's Christmas Party, which I fixed up for Pholtos to LP. 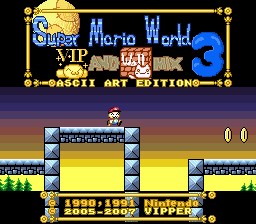 Right now, we've just finished fixing and translating VIP 3, and are currently testing it to make sure everything works. Shouldn't be much longer before we can give it a release. Ah you're releasing them here, excellent. I'm excited for VIP3! You'll be happy to know that the download for VIP 3 is up now! The ASM patch system has been changed a little bit, but just read the instructions again and it should be fine. This Eye o' Mine wrote: ↑ You'll be happy to know that the download for VIP 3 is up now! The ASM patch system has been changed a little bit, but just read the instructions again and it should be fine. Why does that required desert secret with all the coin blocks still crash constantly. It also deleted my save. Could you please fix that too? There's an ASM patch for that issue included in the ZIP file. The reason it's not applied by default is because this is an issue in the original hack no matter the emulator you're playing on, and we decided to make the base BPS patch for console compatibility fixes only. I agree most people probably wouldn't want that bug to happen, but in the interest of preserving the way the hack would've worked originally we decided to go with this way of doing it. Sorry if it this inconvenienced you (or anybody else) in any way, but for what it's worth we've tried to make the patch system as easy to follow as possible. I just made an account here because of this. Just as a small note (nothing big-worthy anyway): in VIP2, the information of levels Haunted Hall and Target Terror are kinda wrong. 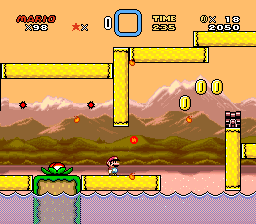 In both cases, it says that the level is a copy to "the name, the tileset and the gimmick", but it's not that correct. Target Terror (VIP2's) actually uses the gimmick of Haunted Hall (DKC2's), which is being chased by a ghost and using barrels as "HP" (though technically DKC2's Target Terror kinda uses the same gimmick with gates instead of ghost, it's more accurate to say it's the Haunted Hall gimmick). On the other hand, Haunted Hall (VIP2's) only uses the name and the tileset of its namesake, because the gimmick is something original of the level designer and not from DKC2. I know this could have been tricky to explain in the notes (since evidently the original levels' names didn't help so much) but again, it's not a big deal, just want to let you know. Thanks for the feedback, and glad to hear you've been enjoying these hacks because of the work we've been doing on them. Feel free to send me a PM or something if you find anything else that's factually off. We try to put a reasonable amount of research into getting the notes right, but sometimes details like that slip by; it's been quite a while since I last played DKC2. It's certainly something we'll consider changing for a potential update further down the line. As for the VIP4 fix and translation, we've made some progress on the issues that were getting in the way of a finalized release and are hoping to have it done reasonably soon, along with a couple of other projects and updates we've had open and pending for a while. Recently we've been on a break for the holiday season though, so it might take a little longer yet. Indeed, I've had a lot of fun, thank you eternally! As for the translations details, I have a question this time: in VIP2 there is a level called "The Chamber of Secrets", do you know if there is a clue/trace that it may be a Harry Potter reference? This has got me since some days ago, but the fact that VIPPERS usually do jokes/references mostly to japanese (or asian, at least) things kinda deny my theory that it's in fact a Harry Potter reference. Just wanted to share this small curiosity, in the case you know more about it. 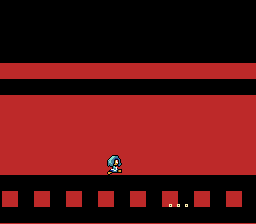 I've also considered doing a Spanish (my native language) translation of VIP4 (or at least try to), but I'm not compromising myself to do it for real yet, at least not for now because I have some projects going in. Just wanted to ask if you can give me the required resources to do it in the (very rare) case I want to do it for real. The name of that "Chamber of Secrets" level in Japanese is actually the same as the movie's Japanese name too. We had considered whether it might have been a reference to it, but decided against writing a note about it since we couldn't find any evidence for it, and the name is generic enough that it might have just been a coincidence (it is after all just a level with a very hidden secret in it). Harry Potter is popular enough in Japan for it to have been intentional though, or at least for it to come across that way to a Japanese player. I'd be happy to help if you want to make a translation into another language yourself. You probably already know we've put some of our tools in the C3 tools thread, but you can send me a message if you need anything else, or if you want some help with the implementation. Update: Our translation/fix of SUPER is now available. Check it out if you like really difficult stuff. Some minor updates for existing releases should be coming really soon. Update: Updates to VIP 3 and 8 Powers have been released. The main aim was to fix a slight audio delay glitch that was introduced due to our music fixes, which would happen whenever the music switched during gameplay. 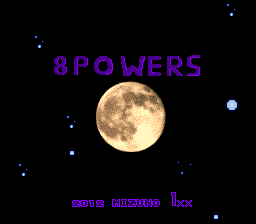 8 Powers also has some typo fixes in the translation. Full changelogs are in the included readme files. SaveRAM files from previous versions are fully compatible with the newer version (though I can't guarantee this will work if you transfer an SRAM file from a VIP3 game that has the Dragon Coin patch applied to one that doesn't, or vice versa). Savestates, however, are not compatible. If you're currently in the middle of a run and don't want to lose your lives stock by loading from the title screen, I wouldn't worry too much about updating to the newer versions; the issues that were fixed were not severe at all. I just wanted to say that I have deep admiration for the lengths you're willing to go to in order to preserve these old, obscure hacks. Great job! Petzi wrote: ↑ I just wanted to say that I have deep admiration for the lengths you're willing to go to in order to preserve these old, obscure hacks. Great job! Two new entries in one go! 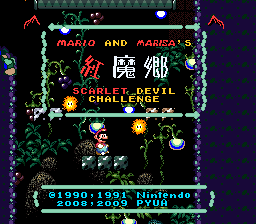 Scarlet Devil Mario (or whichever of the many names this thing has) and Hyper VI now available. Now those are obscure hacks for real. SDM looks kinda... interesting in a weird way I think? I think I'm going to give it a try in the meantime I wait for VIP4 , but I don't know about Hyper VI... after seeing part of the raocow's PL the hack didn't catch me so much (plus apparently being hard as hell). Update: due to a bug report, SUPER has been updated. Specifically, some of the cannons in one particular level were not firing their bullets in the right direction, which was caused due to a mistake in one of the fixes.